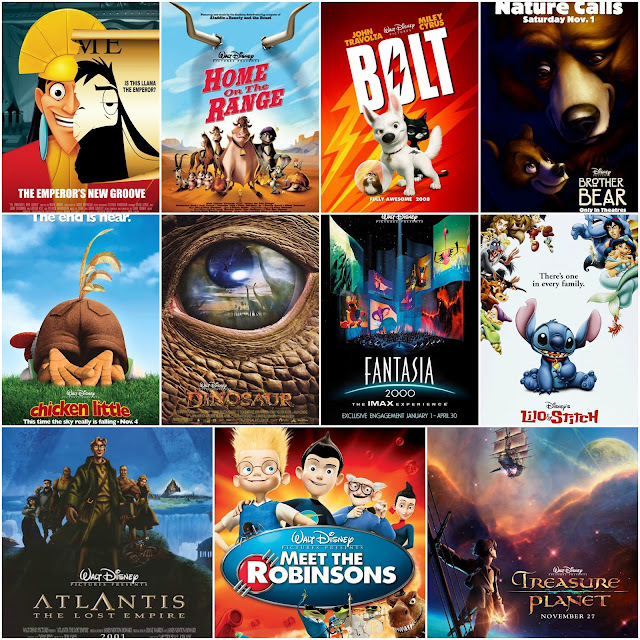 *Note: Films on this list are only those found on the Disney Animated Film Canon, meaning they are mostly original films and do not include straight to video films or Pixar films. 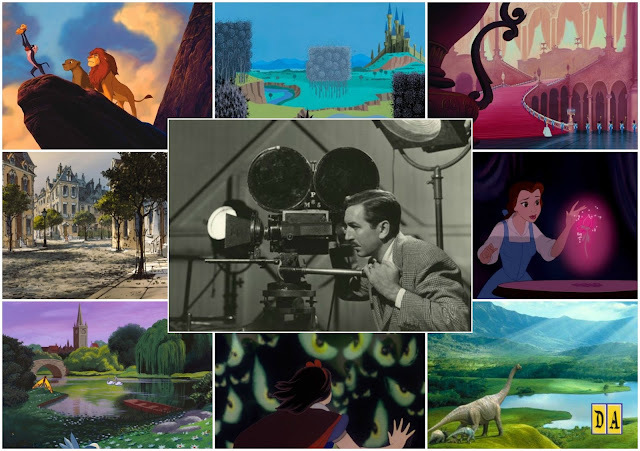 The period beginning with Snow White and the Seven Dwarfs and ending with Bambi is often referred to as the “Golden Age” of Disney filmmaking. 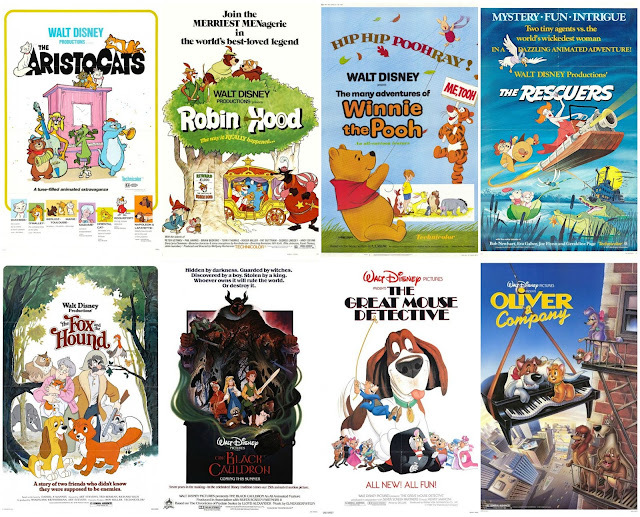 These films were all overseen by Walt himself, and established Walt Disney Studios as one of the leaders in animated filmmaking. However, the term “Golden Age” is actually quite misleading. 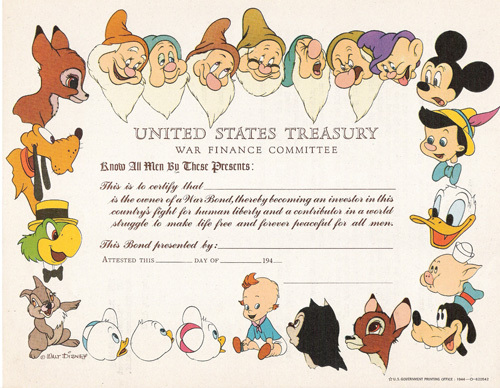 With the exception of Snow White and Dumbo, in terms of financial success, the “Golden Age” wasn’t all that golden. 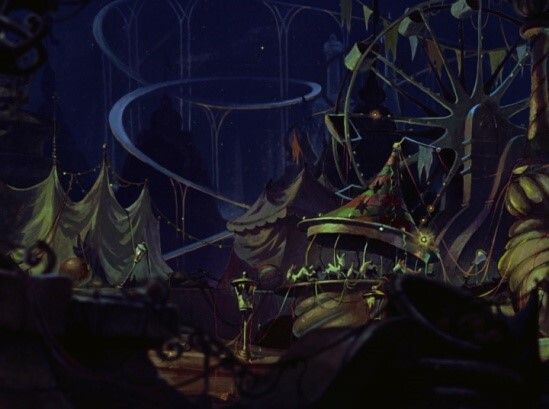 In fact, Dumbo was originally supposed to be merely a short film, but Walt decided to make it a full-length feature to try and recover from the losses suffered from Fantasia. Though they are somewhat eerie and perhaps disturbing, scenes like these are typically sandwiched between two more upbeat and positive scenes, creating an extreme mood shift that engages all of the audience’s emotions. This style of animation also landed the “Golden Age” the nickname “The Tar and Sugar Era”, due to its dramatic jumps from dark to ‘sweet’. In just about every way these films pushed the limit of filmmaking. 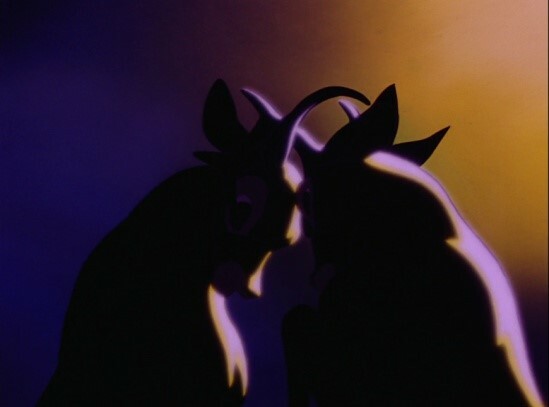 This era also includes the first and only time that breasts were openly shown in a Disney film, found in Fantasia. 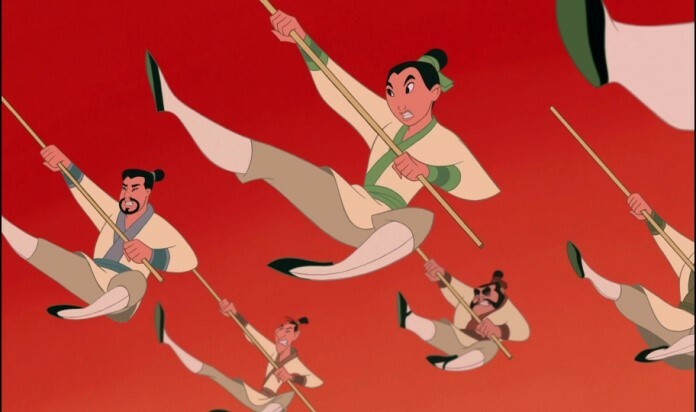 These five films, though not the most successful of Disney films, started a few important trends in Disney filmmaking. Snow White was the first of the the fairytale based movies that Disney is known for, Pinocchio started the concept of taking well-known literature and turning it into a child-friendly film and Bambi explored the possibilities of making a movie through the eyes of an animal. Other Disney staples such as exaggerated villains, the use of music and prominent, comedic sidekicks were first introduced in the Golden Age as well. 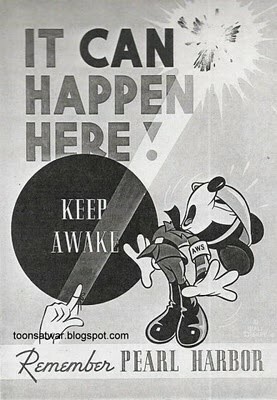 With the arrival of World War II, Disney Studios faced lower budgets and smaller teams of animators available for their films. This era, also known as the “Package Era”, features six films that are comprised of multiple short films within each. 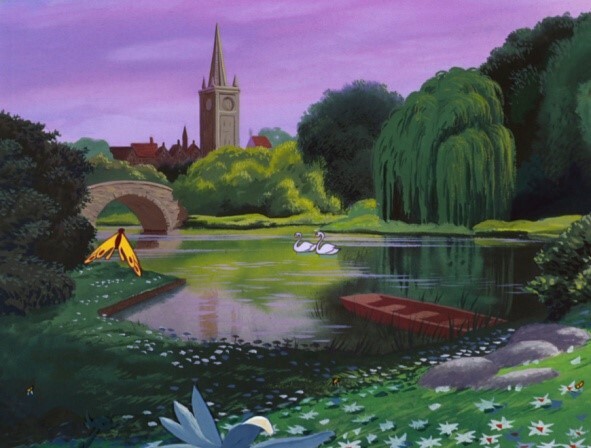 They are considered some of the more obscure films in Disney history, and were not wildly popular. Some fans don’t even consider this an era in Disney filmmaking due to the lack of consistency and tone in each of the shorts and don’t feel that a compilation of short films is considered a “film era”. However, it is interesting to see how World War II affected even the Walt Disney Studios, and that is why it is included on this list. The Silver Age also continues the trends set forth by Disney in the Golden Age, making the next step in fairytale storytelling with Cinderella, Sleeping Beauty and The Sword in the Stone. Alice and Wonderland and Peter Pan continue with the concept set forth by Pinocchio, as they were both highly regarded tales in literature. Lastly, Lady and the Tramp, One Hundred and One Dalmatians, and The Jungle Book mimic the trend started by Bambi (though it can be argued that The Jungle Book focuses on Mowgli more than the animals, it still provides perspective from the point of view of animals). Though some of these films did not go over well with critics, they were enjoyed by audiences and were for the most part financially successful. Walt Disney’s death marked the end of the Silver Age, with The Jungle Book being the last film he personally worked on before passing. 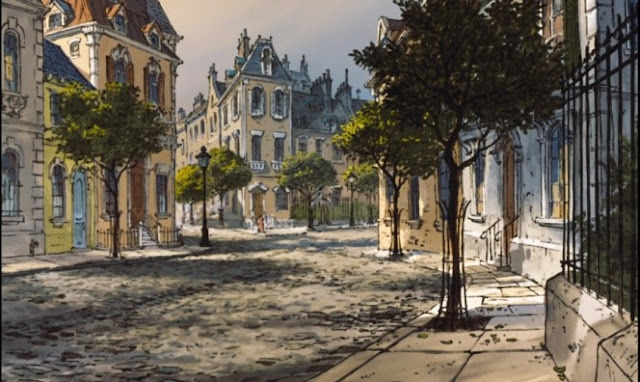 The death of Walt Disney spiraled the Walt Disney Studios into the Bronze Age. 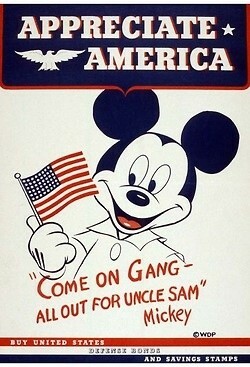 Also known as the “Modern Era” this era was a time of decline for Disney. 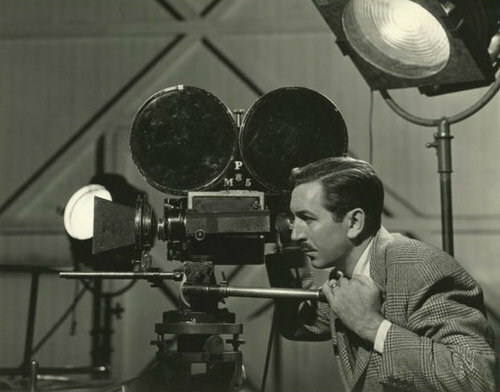 A period of trial and error filmmaking, the Disney Studios struggled to find their way without the guidance and imagination of Walt. The Bronze Age also shied away from fairytales and focused more on darker, secular stories. During this time, there was a shift from hand-inked films to the use of xerography. This saved both time and money, allowing animators to directly print their drawings onto cells. However, this process did have its limits and initially only black lines were possible using this method. 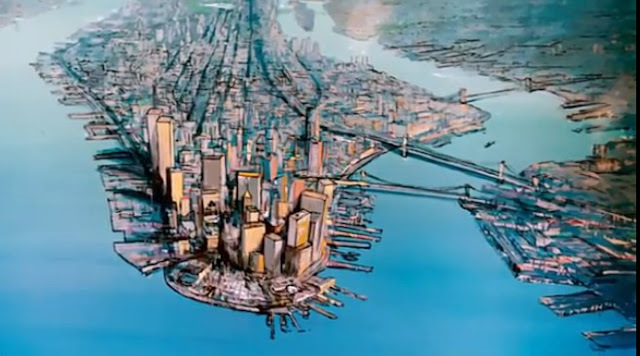 As a result, films during this era are known as “Scratchy Films” because of the heavy black lines in their animation. The grandeur and scale of these films were less than that of previous Disney films, and the era had a very introverted feel to it. It didn’t explore bigger themes as well as other Disney films, and movies of this era did not make a lasting impression on audiences. Winnie the Pooh is the only exception to this, reflecting on childhood and the fantasies surrounding it. 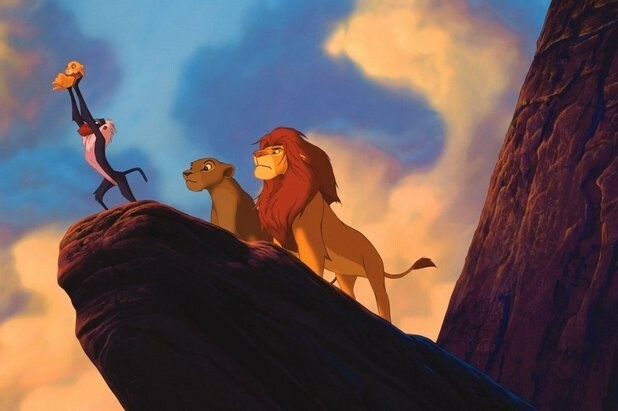 However, this era began to set the groundwork for a newer and better era in Disney filmmaking. 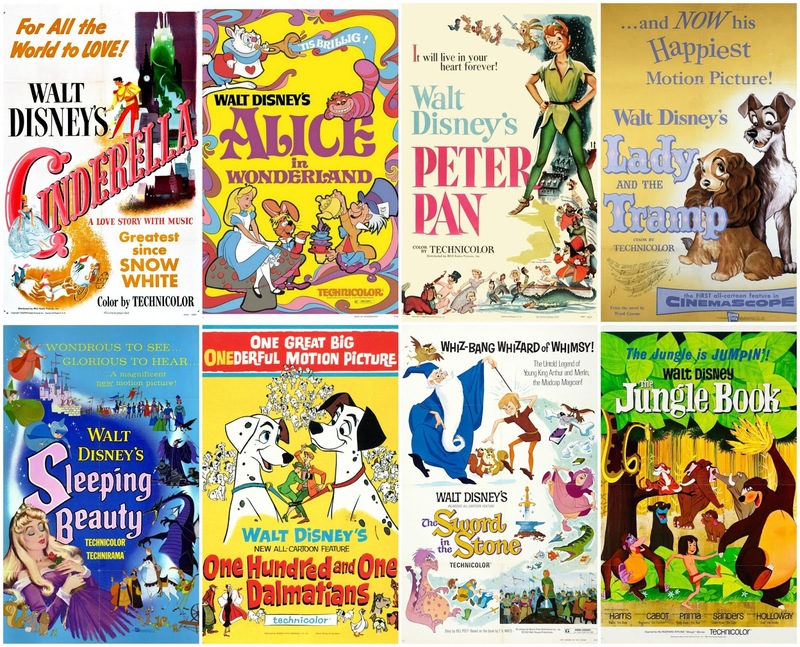 Perhaps the most widely agreed upon era in Disney filmmaking, the Disney Renaissance is considered the pinnacle of Disney films. It saw profound success in the box office, with its movies returning to the musical fairy-tale storytelling that Disney was known for. With The Little Mermaid, Disney had produced the best achievement using xerography. 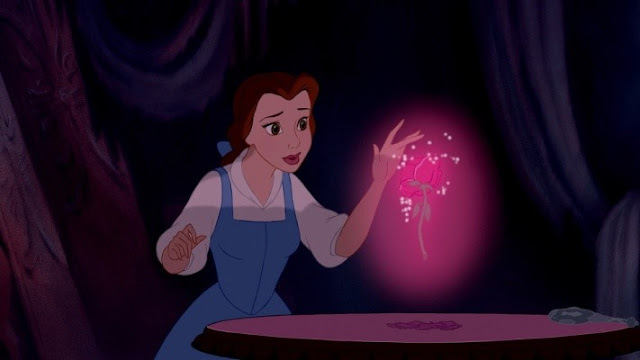 It also was the first Disney fairytale movie in almost twenty years. 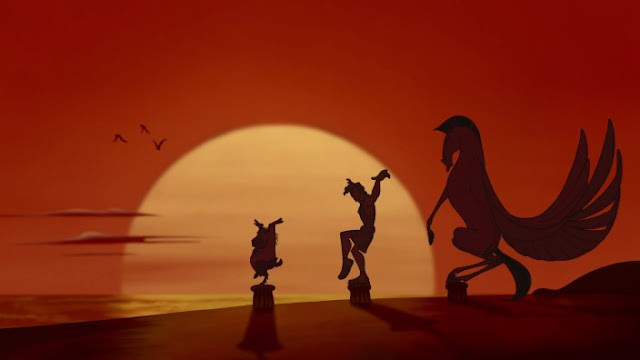 Disney also began the Broadway formula, with the idea that any of the films using this idea could easily be translated into a Broadway musical (which four of the films during this time have done). This was also the first films that Howard Ashman and Alan Menken worked on, both of whom would soon prove to be Disney masterminds and a key element in Disney's musical success. All movies during this era are considered to be huge box-office hits. Also at this time, Pixar began making digitally animated movies, with Toy Story, A Bug’s Life and Toy Story 2 all releasing during the Disney Renaissance period. Pixar films began rivaling that of the Disney Studios with their complex and in-depth story lines and their fantastic digital animation. 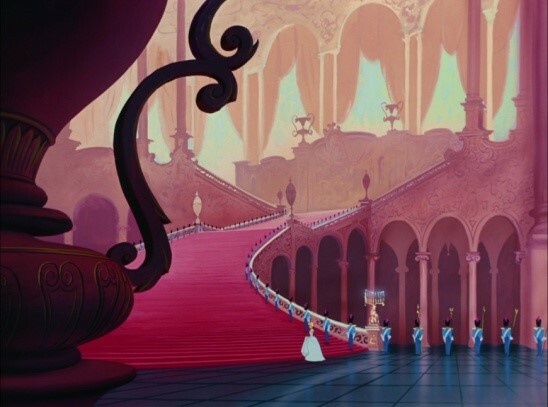 The “Post Renaissance Era” is marked by no common theme as seen in previous Disney filmmaking eras. What really defines this period of time is Disney Studios trying to find a new method of storytelling, much like that of Pixar’s. With the exception of Lilo and Stitch, films during this time didn’t see much box office success and were not wildly popular. However, part of this moderate success was a result of big movie franchises such as Harry Potter and Lord of the Rings drawing in audiences and detracting from other films being released. Dinosaur was Disney’s first attempt at CGI animation. 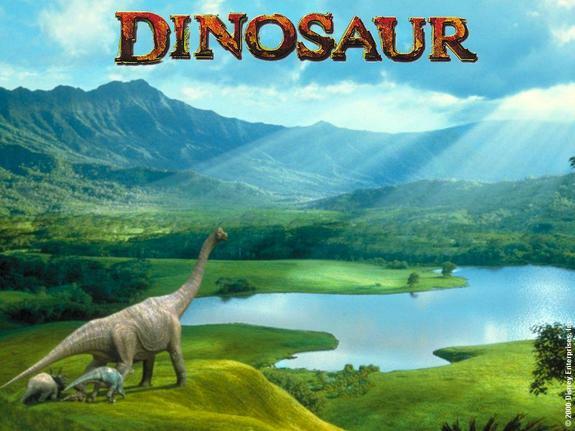 Though it is often overlooked, Dinosaur got Disney interested in CGI animation that has been used in recent years to create immensely popular films for the company. This era was basically a transition period for Disney, while it moved from traditional animation to CGI and from old storytelling to new storytelling. The present era of Disney filmmaking that we are in, the “Revival Era” is also being called the “Second Disney Renaissance”. With John Lasseter taking over the animation division in 2006 and Disney’s eventual purchase of Pixar, the pieces once again began falling into place. 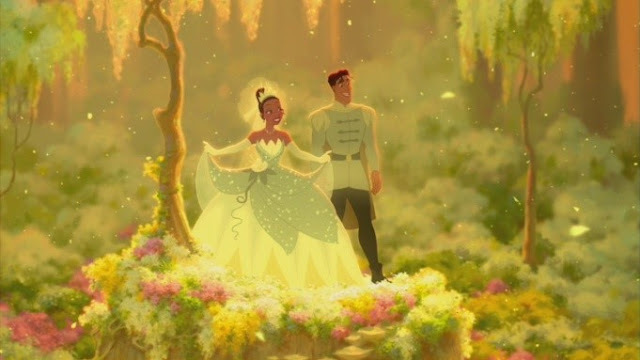 The 2009 release of The Princess and the Frog was praised for its return to original Disney animation while also taking in nearly $270 million worldwide. 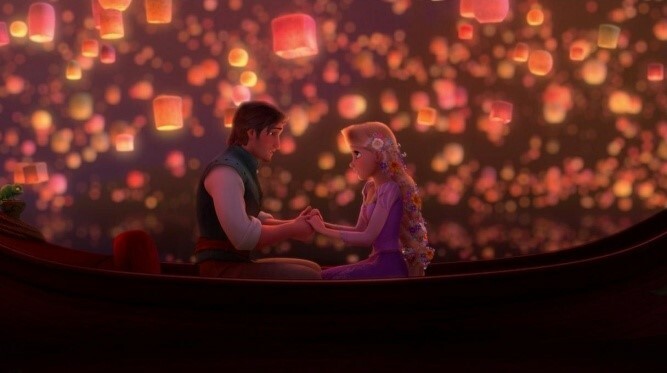 Though Princess and the Frog was done with traditional animation, Disney decided with their next film, Tangled, to try their hand at CGI animation once again. This time, they blended CGI with their traditional animation techniques, and the result was a critically and financially rich film. With the release of Tangled, Disney and audiences realized that they were once again (like with the Disney Renaissance) in the midst of something great. Though Winnie the Pooh only took in modest earnings, it was the highest rated film of 2011, and was followed by the immensely popular Wreck-It-Ralph. 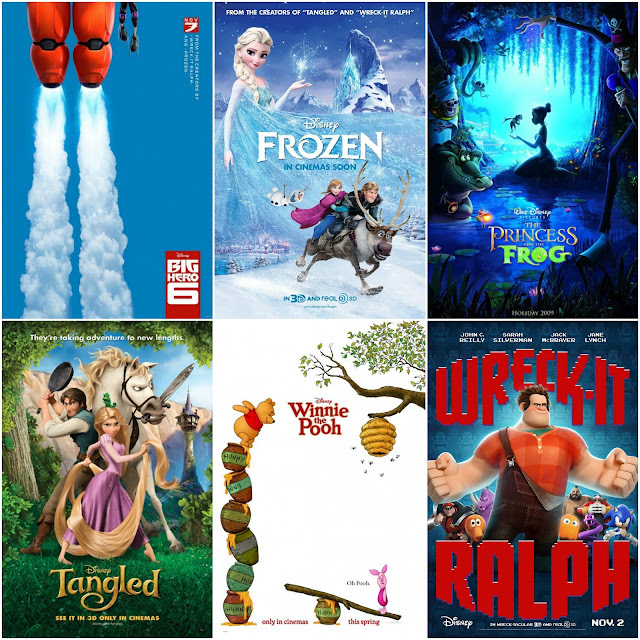 The Revival Era reached new heights with the release of Frozen, the highest grossing animated film of all time, taking in over $1.2 billion worldwide. It also took home Academy Awards for Best Original Song and Best Animated Feature, amongst other honors the film received. Big Hero 6 was released in 2014 with 93% of audiences saying they enjoyed the film making it the highest audience-rated film of this era. This was such a great article. This is definitely the ultimate Disney fan site! I literally love everything I read on this website and always look forward to new articles from you guys. 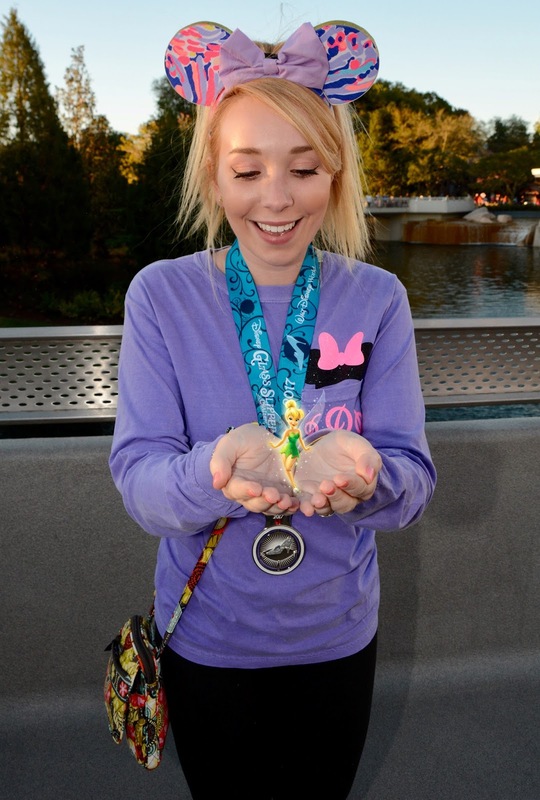 Thank you for teaching me Disney history and for making my time between trips to the Parks a little easier. Keep up the great work! Oh, I love the music that plays on the desktop version on the site too!!! Thanks to this website I have Snow White and the Seven Dwarfs, Pinocchio, Fantasia, Dumbo, Bambi, Cinderella, Alice in Wonderland, Peter Pan, Lady and the Tramp, Sleeping Beauty, One Hundred and One Dalmatians, The Sword in the Stone, The Jungle Book, The Little Mermaid, The Rescuers Down Under, Beauty and the Beast, Aladdin, The Lion King, Pocahontas, The Hunchback of Notre Dame, Hercules, Mulan, Tarzan, Princess and the Frog, Tangled, Winnie the Pooh, Wreck it Ralph, Frozen, Big Hero 6 and Zootopia on Blu-Ray. I completely skiped over Saludos Amigos, The Three Caballeros, Make Mine Music, Fun and Fancy Free, Melody Time, The Adventures of Icabod and Mr. Toad, The Aristocats, Robin Hood, The Many Adventures of Winnie the Pooh, The Rescuers, The Fox and the Hound, The Black Cauldron, The Great Mouse Detective, Oliver and Company, Fantasia 2000, Dinosaur, The Emperor's New Groove, Atlantis: The Lost Empire, Lilo and Stitch, Treasure Planet, Brother Bear, Home on the Range, Chicken Little, Meet the Robinsons and Bolt. Absolutely loved this article! Every sentence was so brilliantly written. There are so many movies I haven't watched yet...i can't wait to start watching them all! 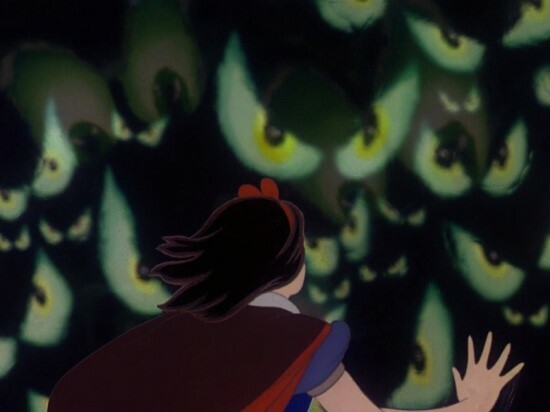 I've always wanted to know about how Disney movies evolved into what it is today. And this article was exactly what I wanted. Thank you so much. i loved this post thank you!!! The author notes in the article the reason the Jungle Book is in the Silver Age is because it was the last film Walt worked on before his death which is what postponed its release but it was created with the other films in the Silver Age. The Jungle Book being the last film he personally worked on before passing. I think the commenter's point was the dates on the labels are wrong. It says Silver Age is 1950-1959 and Bronze Age is 1960-1988. I believe it should be 1950-1969 and 1970-1988. Thx. You are absolutely correct that the Silver Age is 1950-1969 and the Bronze Age should be 1970-1988. Bad mistake on my part, thank you for pointing it out! Thankyou for this incredibly useful and interesting timeline!